Take your evening luxury look to the next level in the Micha Rhinestone Set. 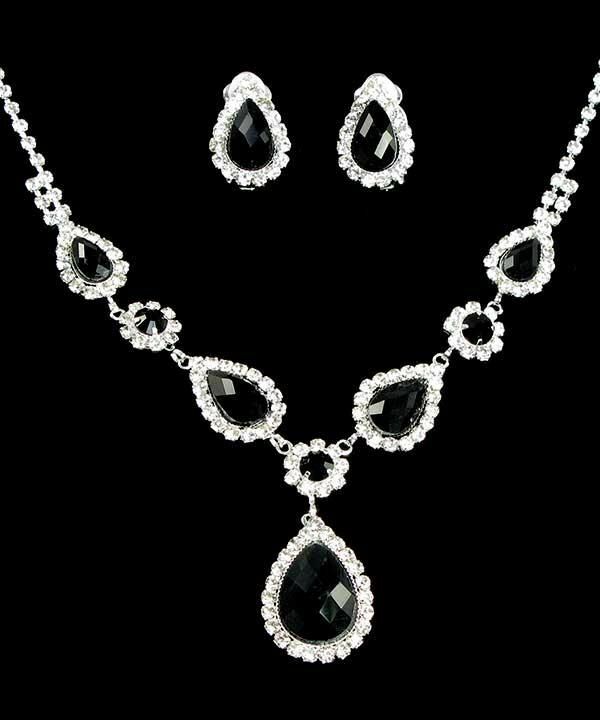 The necklace consists of various shapes of beautiful black rhinestones. The teardrop style earrings are the final touch to your evening outfit. Add this attractive rhinestone necklace set to your collection and never be stuck when accessorising for formal events again.